Saint Seraphim is one of the most venerated saints of Russia, and has greatly influenced the spiritual life, not only of the entire Russian clergy, but also of the thousands of laymen who were drawn to Christian mysticism. Saint Seraphim has formulated in his teaching in simple words the purpose and the ways of Christian ascetic life, in order to make them understandable to all those seeking God. The story about the life of Saint Seraphim of Sarov1, the miracle-worker, was first printed by the Monastery of Sarov in 1893. It was then re-written by N. Puretzki and published by the printer I. D. Sytin in Moscow in 1903. 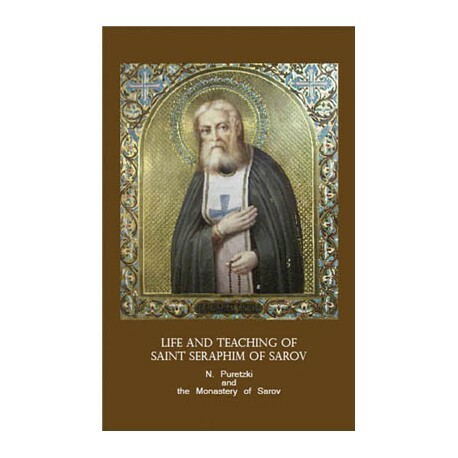 Saint Seraphim’s Teaching was taken from the original edition of this book, which was reprinted in Moscow in 1991 by the Moscow Section of the National Trust for Preservation of Monuments. 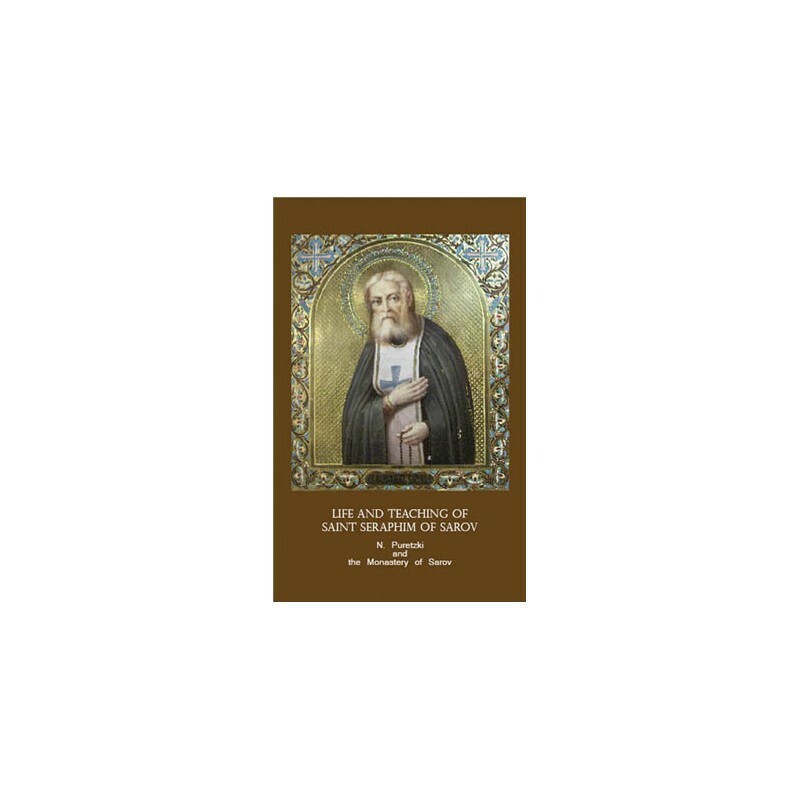 The cover image is a photo of one of Saint Seraphim’s miracle-working icons. This icon was presented to the Russian Orthodox Church in the name of Saint Mary of Magdala in The Hague by the last Russian Tzar, Nicolas II, a martyr and a saint; the reason being that this church was originally the domestic chapel of Queen Anna Paulowna, who was a member of the Royal Romanov House, and the wife of King, Willem II of the Netherlands. This icon has another particular characteristic: it is not a strictly formal representation of a saint, but one of the two portraits of Saint Seraphim. The church also has in her possession part of the relics of Saint Seraphim, and pilgrims from all over Europe and Russia come to venerate them and to pray.